RECEIVE A 48 HOUR TICKET! Variety is the spice of life, so for each of our Hop-on Hop-off tours we dish it up and you get to choose. 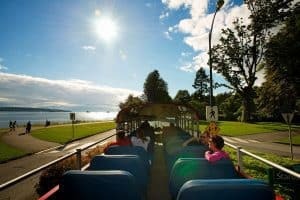 We operate two types of vehicles, and while both buses travel the same routes, each offers a very different tour experience.